The Agreement includes a future cooperation with Turkish Aerospace Industries for TF-X Program. 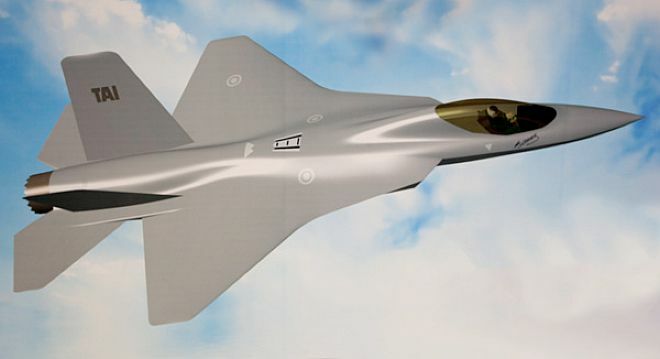 Jan 28, Ankara, Turkey: In the presence of The Prime Ministers of Turkey and the United Kingdom, BAE Systems and Turkish Aerospace Industries (TAI) signed a Heads of Agreement to collaborate on the first development phase of an indigenous fifth-generation fighter jet for the Turkish Air Force – TF-X. This announcement builds upon a pre-contract study phase between BAE Systems and TAI. Signing this agreement in Ankara ahead of a planned contract with a value in excess of £100 Million, BAE Systems Chief Executive, Ian King, said: ‘‘BAE Systems is a leader in designing, manufacturing and supporting fighter aircraft and is in an excellent position to contribute technical and engineering expertise and experience of managing complex projects to this key Turkish program. The announcement signals an exciting next step in relations between both Turkey and the UK with the co-operation between BAE Systems and TAI paving the way for a deeper defence partnership. The agreement confirms ongoing collaborative work on the design and development of the aircraft." At its peak hundreds of Turkish and UK engineers will collaborate on the TF-X program helping to support collaboration on the skills, technology and technical expertise required to deliver the program.